Hello lovelies! 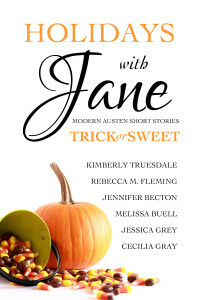 Welcome to my post on the Holidays with Jane: Trick or Sweet collection as part of our Fall into Austen event. I am so excited to have been able to announce our latest collection (see the post right before this one). 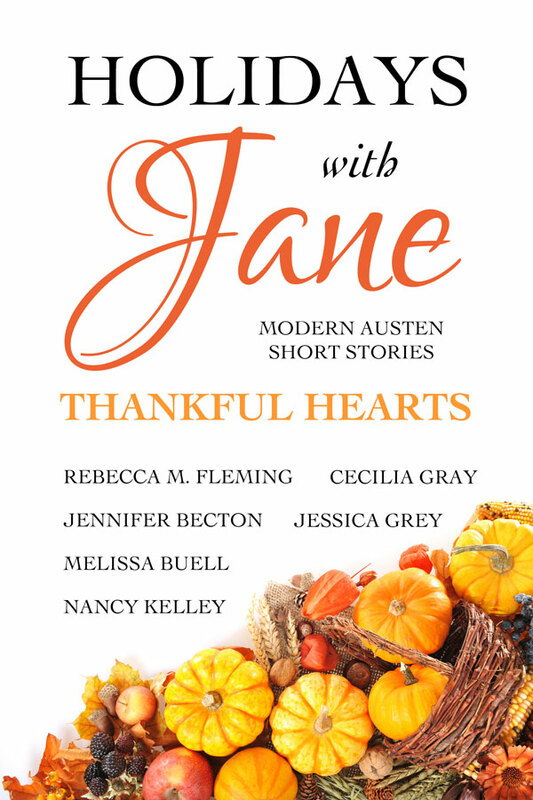 Holidays with Jane: Thankful Hearts will be hitting ereaders and shelves next month and I’m thrilled for you guys to get to read my take on Northanger Abbey – Catherine is definitely one of my favorite Austen heroines! Fall is upon us (at least here in the Rocky Mountains – where leaves are already changing and I can see snow on Pike’s Peak), and before we get to Thanksgiving we get to celebrate one of my favoritest of all holidays: Halloween! For our Halloween collection I ended up with Pride and Prejudice. Now, you wouldn’t think this would be a hard story to adapt because everyone has and even I’ve done it before…but everyone has and I have done it before! How could I possible write something new and/or interesting when it’s been done a million times? I absolutely love P&P adaptations that focus on Darcy’s point of view (see Nancy Kelley’s His Good Opinion if you’re in the market for one), and I also love the idea of setting P&P in high school. I always hope that there will be men that learn Darcy’s lesson early. And that lead me to Will Harper – and boy, did I fall in love with him as I wrote him! My other is issue is magic. I love it. I write it into almost every story. So far two of my Holidays with Jane stories have had magical elements and two haven’t – and those two that haven’t almost killed me. Writing straight, modern romance isn’t necessarily my strong suit as it turns out. But Halloween is the perfect time to write magic, and the perfect time to turn Georgiana Darcy into a fairy godmother of sorts (teenage fairy godmothers are another secret obsession story idea of mine). So in Beyond Midnight I got to combine all of my favorite things – Halloween, Austen, YA, magic, fairy godmothers, and a young Mr. Darcy. I hope you enjoy it as much as I loved writing it. 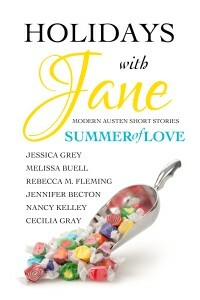 In fact, you can get it FREE for Kindle during our Fall into Austen event. Let me know how you liked Will and Elena as a modern Darcy and Lizzy if you do! If you scroll down, I’ve included the first scene from Beyond Midnight. If you were heading out to the Trick or Sweet dance, who (or what) would you go as? 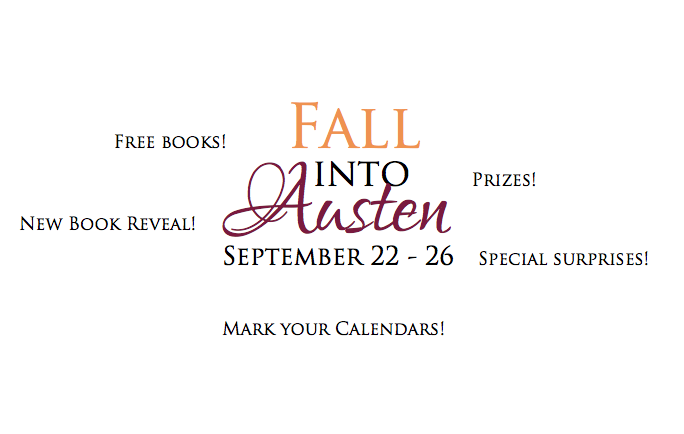 And make sure to enter our Fall into Austen giveaway! Winners get picked tomorrow night, so there’s still time! “It’s your costume!” Her grinning face popped out from behind the bag. Will gritted his teeth. “That much I got, Ana.” There was a white tag attached to the hanger on a string. He flipped it over. “Regency Dandy,” he read out loud. “Yup.” Her head jerked up and down. “Do I even want to know what a dandy is?” He was pretty sure he didn’t. He could see lace through the clear plastic of the garment bag. Lace. He was going to be laughed out of the locker room on Monday morning. He might as well not show up for football practice. He probably should just skip school altogether. Maybe drop out completely. “A bet is a bet, William Harper.” She blinked her wide, blue innocent eyes at him. Too innocent. “That’s because you only know Neanderthals and cheerleaders. And that’s the point: expanding your horizons.” She gestured widely. “No, I never will, because your team bit the big one, brother o’mine. And now you have to go as Mr. Darcy to the Drama Club Trick or Sweet Dance and basically my life is all rainbows and unicorn horns and magical pixie dust.” Ana bounced up and down in barely contained excitement. “Darcy. Women around the world love him. Here, try it on.” She thrust the garment bag at his chest. “I know! Isn’t it amazing? !” she asked, eyes shining. “Yes, quelle tragédie.” Ana rolled her eyes. “Yeah?” Will poked at the lace again, tentatively. This time there was no shock. He still planned to examine it thoroughly before he put it on ‘cause he trusted Ana nowhere near as far as he could throw her. “Charlie,” she announced with pride. “Truer words,” he said with disgust as he pulled the plastic back down over the costume. “He’s your best friend.” Ana planted her hands on her hips and shook her head sadly. Will shrugged again. The plastic bag around the costume making a crinkling noise as he did. “You’re just accepting that?” she asked. “No point in arguing with you. I’m exhausted already.” Will slung the bag over his shoulder and headed for the stairs. Will rolled his eyes at her dramatics. Horrible as it sounded, playing Mr. Darcy for a night at least promised to not be life changing.